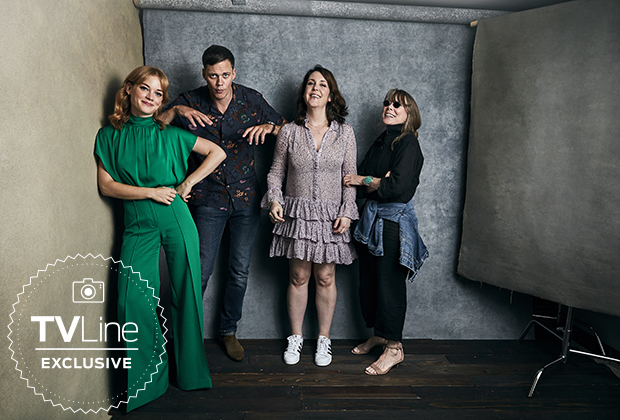 castello Rock Cast at San Diego Comic Con 2018 - TVLine Portrait. . Wallpaper and background images in the castello Rock (Hulu) club tagged: photo castle rock season 1 cast portrait san diego comic con 2018 bill skarsgård melanie lynskey sissy spacek jane levy.